Hello there, how is your Sunday so far? I'd thought I'd pop by with this gorgeous, classic, soft image. It made me gush with delight. Don't the women look like perfect dolls with their pale skin and red lips? 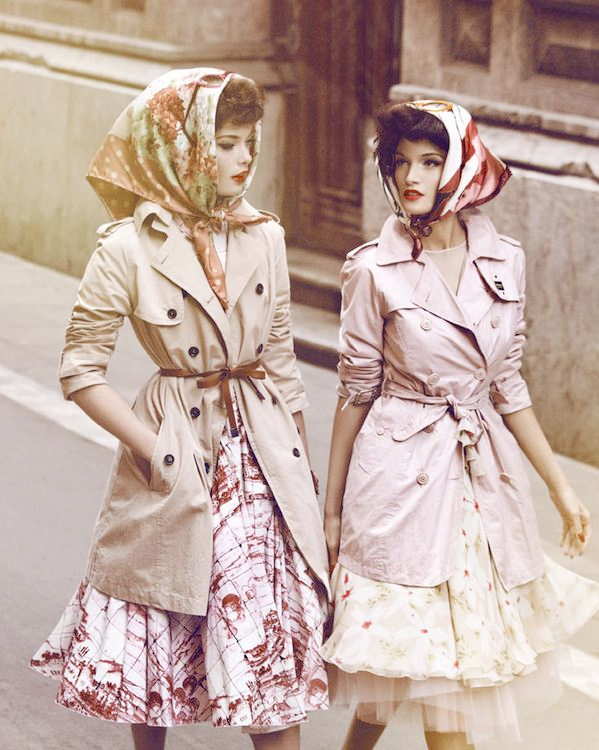 The ever so classic look from the tied trench coat and the scarf around their heads looks so desirable. It's hard to believe they aren't dolls!! Perfect skin! great retro classic lady style, great photo! so chic. i love this image. I agree with the gush with delight thing.